Nose: Delicate flowers and fruits, vanilla, hints of fresh oak, perfectly combining sweet and spicy. Palate: Dark fruits, spices of cinnamon and ginger, with delicious tones of honey. Balanced and smooth, with a lingeriung finish. 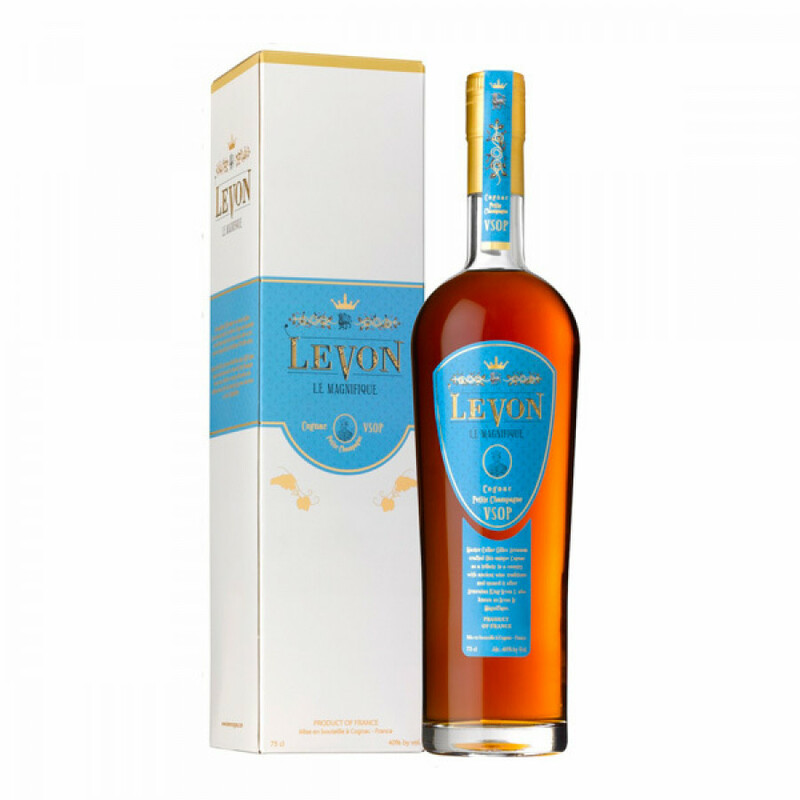 The Levon Le Magnifique VSOP is a truly outstanding Cognac in many, many ways. The most important is, of course, the tasting experience. And it certainly won't disappoint. From the moment you set eyes on its deep amber tones you'll be captivated. This sensory joy continues on the nose, with deliciously intertwining aromas. If you close your eyes, these decadent scent sensations will transport you directly to the premier terroirs of the Cognac region from which they came. And when you come to sip, we promise you won't be disappointed. There's a reason this VSOP was presented with the highest award possible at one of the top 2018 industry events. And it's simply because it's a stand-out excellent Cognac. Being a VSOP makes it an incredibly versatile choice. Ideal for either mixing or sipping, this small-batch created, artisan Cognac has been designed for you to drink your own way. It represents fanatastic value for money, and really is a great choice to add to a high end liquor cabinet. And, naturally, will be very well received as a gift by anyone who loves the finer things in life. The house of Levon Cognac was inspired by the viticulture heritage of Armenia, fusing together the history of this far off land with the iconic heritage of Cognac. This is a house that's represents the true meaning of a craft brand, with their products only being created in the smallest of batches. The house uses eaux-de-vie solely from the best crus in the Cognac region - Grande Champagne and Petite Champagne. Levon Cognac's cellar master, Gilles Ammaron, has a tremdous collection of very old Cognacs at his disposal. The house prides itself on its non-industrial approach to the art of wine making, and this shines through in their award winning Cognacs.